GIFs can be a great addition to your marketing efforts. They’re cheap, they’re funny, they’re engaging. The problem is that most people are too lazy to create their own. Maybe they don’t know how, or they’re still living in an age when you had to be a Photoshop whiz to make any visual content. Today we’ll dispel this myth by looking at a couple of GIF makers. Gifs are like ugly cinemagraphs. They are short looping videos, often with text overlays. Gifs rule social media, because they’re an eye catching way of conveying emotion or getting your point across quickly as you can see in the example below. It used to be quite hard to make custom GIFs unless you knew how to use Photoshop. Thankfully that’s no longer the case. With modern GIF creators you can turn your photos or video files into GIFs. There are a couple of free online tools out there for this. Article over, right? Not quite. There’s a bunch of reasons why you might want to invest in a decent GIF maker. Especially if you’re serious about using these in your social or content strategy. Most times, these will offer higher quality and compatibility with more formats than the free alternatives. Many also allow you to create cinemagraphs. These are like GIFs, but only some of the frame moves while the rest stay still. These can add a serious element of professionalism to your visual content. Below is a list of our six favourite premium Gif creators. We’ve added five bonus free Gif creators to the end of the list. They don’t have the functionality as the software listed below, but they do the job (and they’re free!). The first thing you’ll notice is the variation in prices. Does that translate to different levels of quality. Well, we’ll have to drill down into each and find out. Let’s go! Of today’s GIF makers, Gifzign has by far the most pleasing user experience. You can use a slider to set the start and end point of your GIFs, or simply enter the times manually. GifZign is available as a desktop app for PC and Mac. Gifzign is also very heavy on functionality. I particularly liked the ability to turn screen-recordings into GIFs. It comes with a range of native overlays and filters. It also integrates directly with it’s sister-platform, Youzign. That means you can seamlessly import graphic overlays. Recently Gifzign was rolled into a package with four other great software tools. This includes Youzign for creating marketing graphics, Logozign for creating logos, and Mockzign for in context mockups. You can purchase the full Youzign suite, which includes a graphics design tool, logo maker and four other tools for $87 lifetime. First up, we have Graphitii which will set you back $47 for a lifetime license. This is a browser based platform. In terms of focus, it’s aimed mainly at making cinemagraphs, although it can create traditional GIFs too. I was particularly impressed by the ease of use here. Once you’ve imported a video, all you have to do to make a GIF is pick a frame, and then select the area you’d like to unfreeze. Then you can download the export file. The quality isn’t quite HD, the whole process only takes a couple of minutes. The ability to overlay text makes Graphitii one of the most attractive GIF makers for digital marketing. This makes it an absolute breeze the create really impressive moving cover photos for your social media. Equally, you could bring the power of GIFs to you display advertising. ClipGraph starts from $67 for a personal license. It’s interface is remarkably similar to Graphitii’s. In fact, it has pretty much the same functionality too, and there’s little difference between the quality of the final product. So how can the price difference be justified? The main difference is that ClipGraph is available as a desktop app for both Windows and Mac. The obvious benefit of this is that it can be used offline. It also makes everything that little bit faster, which would of course be important if you’re creating GIFs in bulk. The drawback, is that you’ll need to host your own GIFs somewhere online anyway. Flicktive is the first of our subscriptions based GIF tools. It starts at $25 per month, but for this you only get 20 exports. Since you need to upgrade to another plan to get more than this, it can quickly become fairly pricey. These price tiers aren’t without their charm though. The more you pay with this GIF maker, the great access you have a a pretty impressive library of assets. This include the likes of stock media and fonts, which can be great for creating professional looking visual content. It’s also encouraging to see that one of these GIF creators offers HD exporting. However, the UX was a little bit of a let down. They’re obviously aiming for usability, but they’ve gone a little too far the other way and ended up with a slightly frustrating and childish feeling interface. This makes it a little more complicated to use. Or at least, it requires a slightly higher learning curve. However, there’s also a pretty extensive range of presets on offer. I also liked the ability to give your GIFs rounded edges. This is a subtle way to give a more professional feel. At $79.99, Liquivid is quite an investment compared to the other GIF creators. Really, whether or not this is worthwhile is up to whether you think you need the extra functionality. Finally, we have Filmora. Starting from $39.99 for an annual license, this is sort of my wildcard choice. That is, it’s not really a dedicated GIF maker. In truth, it’s a full scale video editor which happens to support GIF exports. This could be a good option for some users. As a video editor, it’s fairly cheap and simple to use. Unlike the dedicated GIF creators, you get more advanced features like image stabilization and overlaying. You also get more advanced text overlays. This obviously improve your scope for creativity. I wouldn’t suggest this for someone who just wants to make GIFs or cinemagraphs. However, if you’re a marketing all-rounder, it hardly makes sense to use separate platforms for video editing and making GIFs, does it? Much better to have on platform which can do both. If you don’t want to pay for a tool, there are a lot of simple free Gif makers on the Internet. These tools don’t have the same functionality as those listed above. For example, you might not be able to create text overlays, or the text overlays you can create only have a limited selection of fonts. Still they do work. The three most popular online Gif makers are Giphy, Gifmaker, and EzGif. Out of the three platforms I prefer Giphy. It has a more modern user interface while offering the same functionality as both EzGif and Gifmaker. If you’re looking for an offline Gif creator and you’re a Mac user I recommend Gif Brewery. Like the online versions listed above it’s a simple, and easy to use platform. You can do things like crop, and resize the image, control the number of frames in the shot, and the number of times the Gif loops. For a desktop app that’s compatible with both Mac, and PC we recommend Photoscape. The software is primarily a photo editor, though you can use it to create animated Gifs. The purpose of this run down is, of course, to work out which of these GIF makers represents the best value. I’d like to highlight two favorites, one at each end of the market. For a simple, easy to use GIF editor I’d recommend Gifzign. 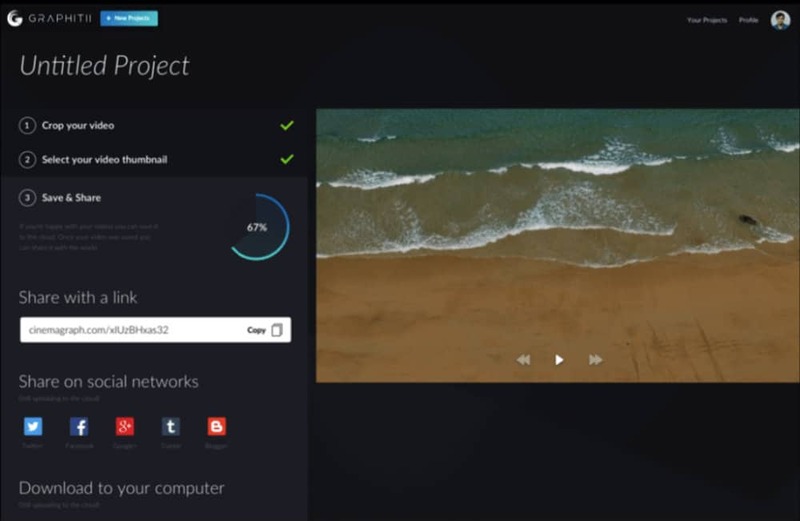 For a little bit of extra functionality and flexibility, I’d definitely go for Liquivid, especially for the slightly more tech-savvy users among us. We write these comparisons because we run lifetime deals of software for our audience. To get access to these deals head over to our homepage and sign up to the email list. You can find more software reviews on the Launch Space blog. If you think this content was helpful please share it on Pinterest.